MONDAY, Oct. 31, 2016 (HealthDay News) -- If you come across a study claiming that sugary drinks don't cause obesity or diabetes, check to see who's paid for the research. Most likely the study has financial ties to the beverage industry, according to a new review of the scientific evidence. Every experimental study that found no link between sugary drinks and obesity or diabetes has received financial support from the beverage industry, said lead researcher Dr. Dean Schillinger. He's a professor of medicine and founding director of the University of California, San Francisco's Center for Vulnerable Populations. On the other hand, nearly all experimental studies that establish a direct link between consuming sugary drinks and developing obesity and diabetes have not received funding from beverage makers, Schillinger and his colleagues reported. "The industry seems to be using the scientific method to sow doubt about the truth related to their products," Schillinger said. The American Beverage Association (ABA) countered that Schillinger has a conflict of interest himself, calling him a "paid expert" in a lawsuit over San Francisco's attempt to require health warning labels on billboards promoting soft drinks. "It's ironic that he would write about bias in research when he himself is clearly not an impartial researcher," the ABA said in a written statement. 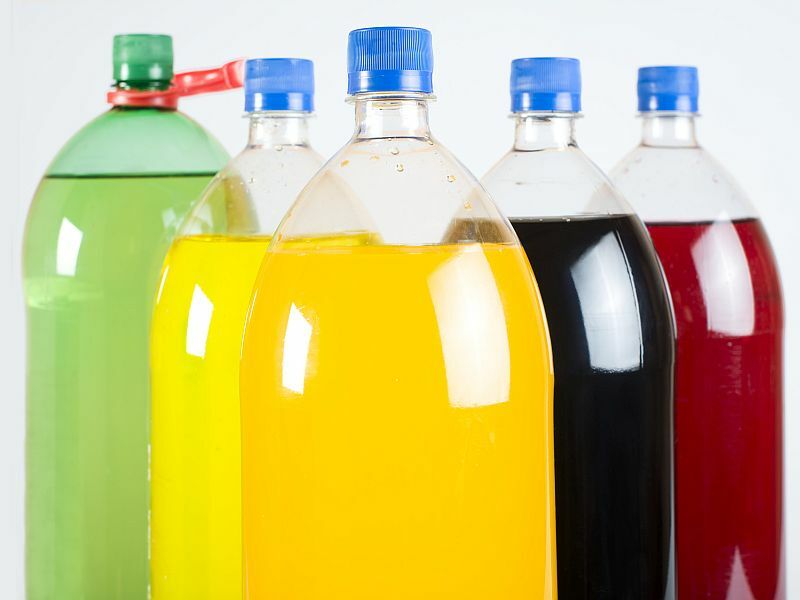 Schillinger and his colleagues reviewed all available literature for scientific head-to-head experiments examining the health effects of sugary beverages. These are all "actual head-to-head comparison studies where you take people and you make them drink soda and you take other people and you make them drink water -- actual experiments in humans over the last 15 years," Schillinger said. Out of 60 studies uncovered by the review, 26 received financial support from the beverage industry, the researchers found. Either the studies had been paid for by the beverage industry, or researchers participating in the study had financial ties to the industry. None of the 26 industry-funded studies found a link between sugary drinks and obesity or diabetes, Schillinger said. On the other hand, 33 out of 34 studies that reported a direct link between sugary drinks and obesity or diabetes had received no money from the beverage industry, the researchers said. According to Dr. Michael Siegel, a professor of community health sciences with the Boston University School of Public Health, "It clearly reveals the bias that's present in these studies. This is not a subtle finding." Siegel said his own research has found a pattern of financial ties between beverage makers and American medical groups. Coca-Cola Co. and PepsiCo provided sponsorships to 96 health and medical groups in the United States between 2011 and 2015, according to study results released recently by Siegel. Those organizations included the American Heart Association, the American Diabetes Association and the U.S. Centers for Disease Control and Prevention. "We have a right -- and a responsibility -- to engage in scientific research," the American Beverage Association statement reads. "The research we fund adheres to the highest standards of integrity for scientific inquiry based on recognized standards by prominent research institutions . . . and enables consumers to make informed decisions," according to the ABA statement. However, Schillinger said, the new research shows that industry-funded studies appear aimed mainly at raising doubt among consumers about the health hazards of excess sugar. "If you were to poll the average American, you would find tremendous variation in the degree to which they understand and/or believe drinking five Mountain Dews a day can cause diabetes," Schillinger said. That's the average amount consumed by teenagers in West Virginia, he added. "We're talking about a public that has not been made aware of these relationships because of the muddying of the water and the overwhelming amount of positive marketing to which they are exposed," he concluded. Siegel added that industry-funded studies also may have an impact on elected officials and policy makers who might favor more restrictions or higher taxes on sugary beverages. "I think it makes it more difficult for them to stand up against the industry and take controversial stands, when they're being fed 26 different studies all purporting to show there's no tie between soda and obesity," Siegel said. The ABA contends that "beverage companies are engaged in public health issues because we too want a strong, healthy America. We recognize that we have a role to play in reducing obesity, and we are taking voluntary actions to reduce calories and sugar from beverage consumption -- working together as competitors and engaging with prominent public health groups." The new review was published Oct. 31 in the Annals of Internal Medicine.